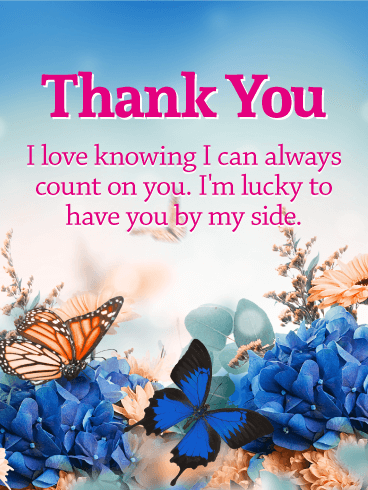 Thank you - For always being there when I need you, without hesitation. 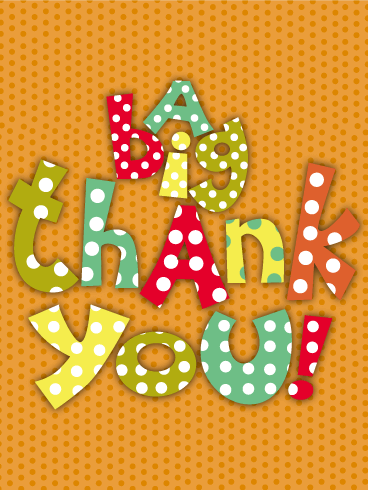 A big gesture deserves a big thank you! 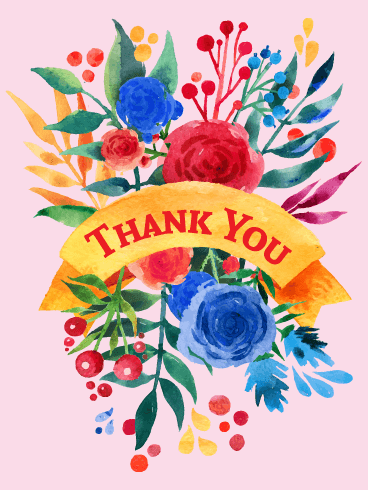 If you want to say thank you to a friend for house sitting, a free meal, or another favor, send them this Thank You card! 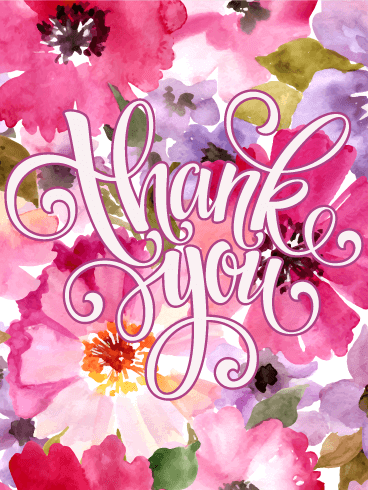 The fun colors and font on this Thank You card will show how happy you are and the message will show your gratitude. 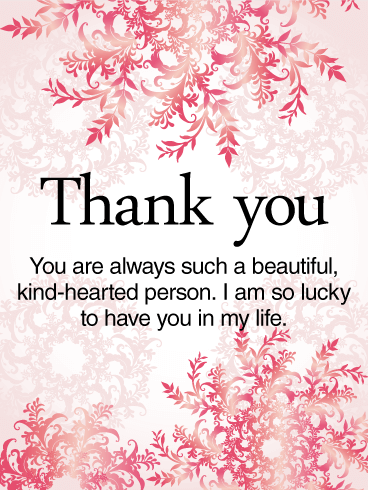 Use this card to send a big thank you today! Are you thankful for the people in your life? 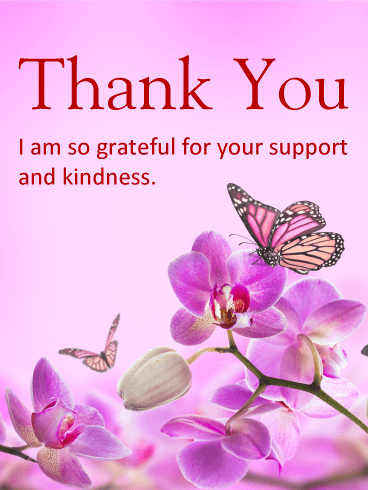 Do you want to share your gratitude with a card? Then send them this Violet Thank You card! 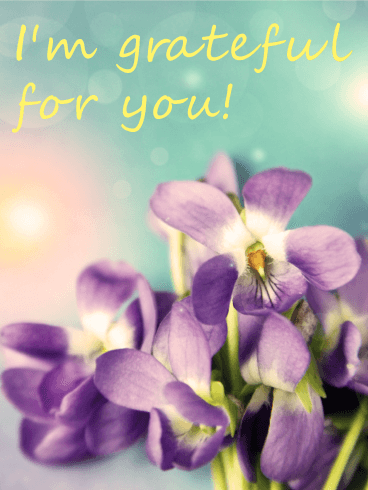 In the flower language, violets mean love and affection, so show your loved ones how much you care with this Thank You card. Whether you are thankful for their friendship, a gift, a favor, or simply to let them know how you feel, this is the perfect Thank You card! When life gets you down, it's nice to know people who have your back. 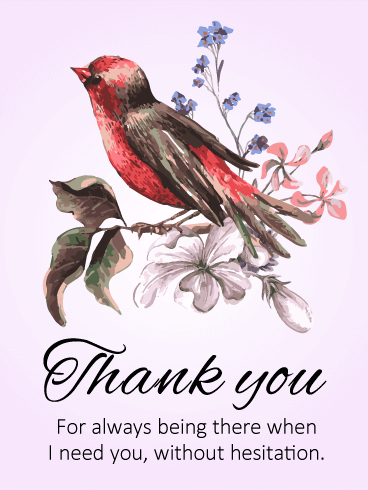 If you have a friend or family member who has helped you through a tough time recently, thank them with this Thank You card! The two puppies on this Thank You card are close friends and they stick together through thick and thin - just like the person you're thanking! Let them know how grateful you are today! Do you know someone who helps you through the good and bad times? Do you want to tell this person how grateful you are for their support? 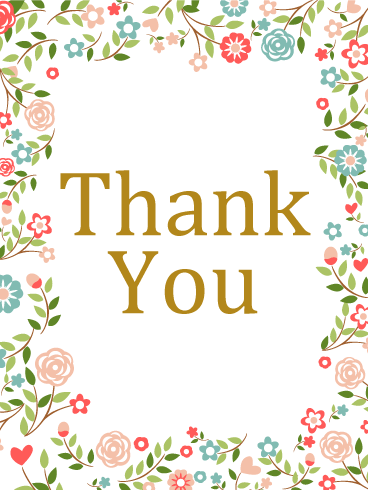 Then you should send them this Thank You card! The sweet message will tell them how much they mean to you and the design will act like a bouquet of thank you flowers for your friend! Our friends and family are some of our greatest treasures. 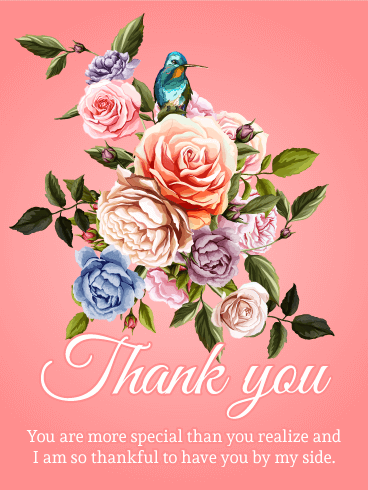 If you want to let your loved ones know how much you love them and how grateful you are for them, send this beautiful Thank You card! 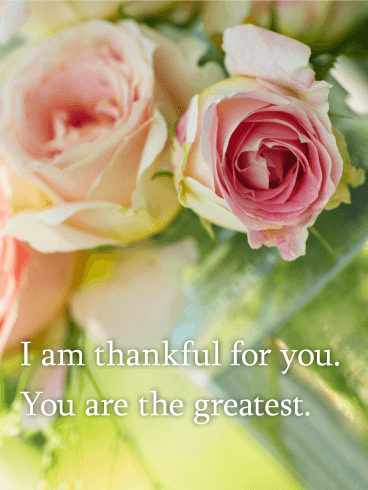 The lovely flowers are a great way to show how thankful you are and how much you care about them. Send it today!